1.Can you give us an update on what has been going on with the musical project since the recording and new release of the new album? I've just been working on getting the CD and cassette editions of the album printed. I'm working with a label on that endeavor, and we should have them printed in the next couple of months. 2.You recently released a new album, can you tell us a little bit more about the musical direction it has taking and also how much progress do you feel you have made since the last ep? The new album is rooted in the same primary elements as the EP, and expands on them in several different ways. The songs on "Weightless at Dawn" were the first songs ever written for the project, but there was a distinct style to them that needed to be elaborated on. I had plenty of time to reflect on the EP before making the album, and that helped make a lot of progress as far as identifying what the Truthseeker sound is, and how to expand on it properly. 3.The music is all instrumental, you are planning on adding vocals in the future? I consider it sometimes. Even if I started singing there would still be some instrumental pieces. That's just the way I write with this project. 4.What are some of the themes and images you bring out with your music? I guess a "theme" I've worked with so far is is capturing a single emotion or a certain state of mind with each song, and staying on that single emotion/mindframe to the end, instead of bouncing around to different feelings. This way each song encapsulates a significant feeling or perspective that can be easily revisited by listening to the song again. The imagery for me is, in the case of the new album, always a dark blue piece of scenery, of a place that's important to me personally. However it's as if I'm looking at it from the afterlife, and I'm observing these old places and these feelings that defined me when I was alive, but now I can look at them the same way we look at paintings and photographs right now, and draw a meaning from them as such. 5.What is the meaning and inspiration behind the name 'Truthseeker'? The name came from a conversation with a friend I had for a short while. She was something of an adviser and teacher to me on a spiritual level, but she had cancer when I met her which she succumbed to just a few months later. In one of our conversations she told me I "have the soul of a Truthseeker." I don't know how deep the meaning was behind her saying that, but it was a nice thing to hear...so naming my solo project Truthseeker was a way of honoring and remembering the fact that this brilliant person believed in me on that level. 6.Currently the music project is solo but there was another band member in the past, are you planning on using using musicians again for this project or do you choose to remain solo? Remaining solo just feels right. However I am interested in playing live at some point, which of course I would need other musicians for. As far as writing and recording goes, I feel really comfortable doing it alone. 7.According to the fb page, the project is signed to Dissociation Records, can you tell us a little bit more about this label? That is my personal label, for the music I put out. It's not really a fully functional label (signing other acts, etc.) as it is just a moniker for all my independent releases. 8.What is going on with your other musical projects these days? I'm in a progressive rock band called Vine with my friend Justin, and we are putting our first album together right now, which I'm very excited about. Other than that, I have just been writing a lot of new stuff, for Obsidian Tongue and Truthseeker. 9.What direction do you see Truthseeker heading into on future releases? I'm always just chasing the sounds and melodies that are in my head, which I feel I'm getting closer and closer to. All I can say is future releases will be the style of music I hear in my mind all the time. I can't really explain the sound right now. 10.What are some bands or musical style that have had an influence on this musical project? The sound is influenced by hard rock/classic rock, progressive rock, doom metal, classical music, and ambient music. The primary artists that inspire me with the band are Pink Floyd, Rush, Robert Fripp, Led Zeppelin, Anathema, Morne, and Cliff Burton's work with Metallica. 11.Has there ever been any live shows with this musical project? 12.Before we wrap up this interview do you have any final words or thoughts? Thank you for your interest, and for inviting me to do this interview. It was a pleasure. Descend Into Despair are a band from Romania that plays a very atmospheric form of funeral doom metal and this is a review of their 2014 album "The Bearer Of All Storms" which was released by Domestic Genocide Records. The album starts out with atmospheric synths and a few seconds alter drums are added into the music which leads up to dark, melodic and heavy guitars along with growls which also bring in black metal elements and they also keep around the atmospheric parts and add in drones at times. As the album progresses the music gets more dark, depressive, tragic and melodic with a melancholic atmosphere which brings an epic feeling to the recording while also remaining heavy and slow all at the same time and clean singing vocals are added onto the record in certain sections of the recording as well as small amounts of clean playing and symphonic elements. When we get more into the album you can hear melodic guitar leads making their presence known and you can also hear acoustic guitars being added into the music at times and they bring a progressive feeling to the recording and on the 4th song spoken word parts are added in and the album starts having a ritualistic quality to it and on later tracks ambient elements are brought in and there is not one short song present on this album. Throughout the recording the music remains in a slow direction and never speeds up while still offering a great amount of variety and diversity and the music can be soft at times and heavy at others but always retaining a very dark atmosphere and on one of the songs depressive black metal screams are added in briefly and on the last song the bass guitars have a very powerful sound to them. 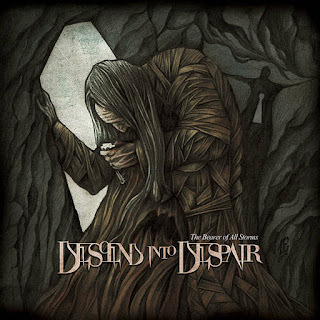 Descend Into Despair take the funeral doom genre and add in a great amount of atmospheric as well as diversity to create an epic that is very epic and melancholic and they use more variety than most bands of this genre. Song lyrics cover dark, depressive and metaphysical themes, while the production has a very strong, powerful, heavy and dark sound along with all of the songs being very long and epic in length. In my opinion Descend Into Despair are a very great sounding atmospheric funeral doom metal band and if you are a fan of this musical genre, you should check out this album. RECOMMENDED TRACKS INCLUDE "Portrait Of Rust" "The Horrific Pale Awakening" and "Embrace Of Earth". 8/5 out of 10. 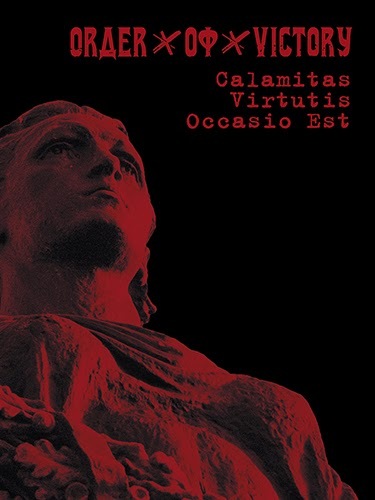 Order of Victory are a band from Russia that has been featured before in this zine with a musical style that combines martial and neo folk music together and this is a review of their 2014 ep "Calamitis Virtutis Occasio Est" which was released by Casus Belli Musica. The ep starts out with flutes and spoken word parts and a few seconds later acoustic guitars and melodic vocals are added into the music along with tribal style drums and synths a few seconds later and the second song starts out with World War II samples before adding in folk instruments as well as going into a more atmospheric direction while also having militant drums. Song lyrics are written in Russian and cover the writings of Yurily P. Voronov, while the production has a very dark and powerful sound to it. In my opinion this is another great sounding recording from Order Of Victory and if you are a fan of martial and neo-folk music, you should check out this ep. RECOMMENDED TRACK "Memory". 8/5 out of 10. 1.Can you give us an update on what has been going on with the musical project since the recording of the new release? 2013 was a very busy year, which keep me away from Immundus music most of the time, although I been working with Immundus, mainly 2013 was a year for exclusive music for media for Resource Sound. Im now back on track composing a new Immundus release that has been set for April 2014, even though is still not 100% sure about the exact date, things are going great on the background and moving towards this main goal. 2.You have a new album coming out this year, can you tell us a little bit more about the musical direction it will be taken and also how does it differ from your past recordings? Im never good expressing the music direction, but I can assure will definitely have more music aspects and less experimental features. Im not so sure if it will differ too much about the past recordings because I would like to keep the Immundus musical identity on all my recordings, so I guess it will have a nice blend of previews and new elements to it. For fans and listeners who have related more to earlier releases should have something too look forward too. 3.What are some of the themes and concepts the newer music explores? The new coming album will be entitled “Insomnia” . Will be a conceptual album as well, as I prefer to create stories through music and make meaning on my releases rather than just throwing in tracks to fill in spots. I have moved on from the previous concepts though and am creating a new one for this. It will be based on a more personal level and experiences and mind hauntings if one could say that. Will have less “terror” themes to it but with a more Ghost / Tense Ambient Approach. At the moment I am writing the music as Im going along and will have more feeling and less technical aspects to it. Im really happy how it is turning out at the moment so Im looking forward to put up some samples soon. 4.A couple of years back you released on ep based on the writings of Edgar Allan Poe, can you tell us a little bit more about your interest in this author? Edgar A. Poe was one of the biggest and is one of the most famous poets when it comes to dark, macabre and romantic poetry who has influenced many music artists within the gothic and dark music. I am not particular familiar to all of his work, but what I have read has also inspired me to create music, even before the EP. But was a great opportunity to create this EP, which first started actually as a song I had submitted to a compilation based on his works, that got me so inspired to write more, so I simply did it and made this EP, even though is quite short, seems to have had a huge impact on a lot of listeners, considering the amount of downloads it has gotten on different platforms around the web. 5.What is the meaning and inspiration behind the name 'Immundus'? 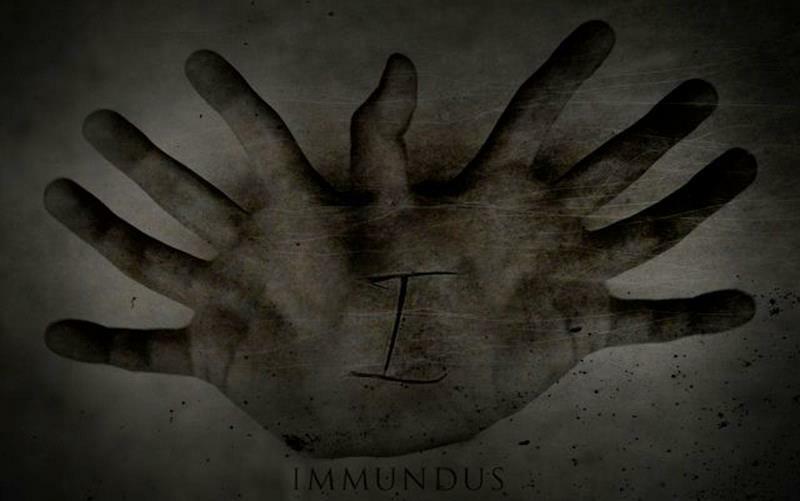 Immundus name came up in the late 90s early 2000s as a stage name I had Necrokult Of Kronos, a black / death metal band which I was vocalist and bassist. After I moved to Norway the band ended and I decided to keep the name Immundus with me to this music project, as I saw it very fitting the the music I was intending to create. Immundus comes from latin which means, foul, impure, unclean, which I can relate the music I create to it on a more philosophical level. 6.You have worked with both metal and ambient projects over the years, how would you compare the 2 genres? Well, these are two completely different worlds and by coincidence seems to be a lot of metal artists that moves on from a band into creating ambient music, myself included. Although these are completely separate worlds, I guess the fact that the dark and heavy moods they create would be possibly the strong elements that combine both genres, I know it does for me, not because of the music elements that are included, but most because of the intense atmosphere these genres can create around those who listen to it. 7.With this musical project you work solo, do you feel this adds to the creativity of the music? Yeah, being able to create whatever goes on my mind, most of all. It was great to play with the band and we always got along great and had no problems composing music and making the sound, we were a good family there, but the fact that when Im composing my own music, I’m creating my own world and not only that, I can express myself through music, the way I want too without having to answer to anything or anyone, is the most important factor, this brings my creativity to the max. 8.You call your music Ghost and Cinematic Horror Music, can you tell us a little bit more about it? haha, yes, well, my music has been called many things, at some point people entitled me as one of the pioneers of Ghost Ambient music along with Tor Lundvall. I guess i can live with that and yes, I do feel I write my music under that main concept when it comes to Immundus. But because I include more elements to it, more than ghostly atmospheres I decided to add cinematic and horror my music description, which are the main elements on which I base my compositions. 9.On a worldwide level how has the feedback been to your music by fans of dark ambient? The Feedback has been outstanding, and I see more and more people listening to this music. I can also see by the amounts of downloads I am getting on several online stores, apparently not all fans of dark ambient but also people who listens to completely different music listens to it. I can always say..mehh..it could be better, well, it can always be better, but I also see a lot of artists afraid that dark ambient music will become mainstream, I don’t get it, everyone wants their music heard, but want to make it difficult to get it……idiotic. I decided to bring my music to the audience, and despite having more listeners nowadays I still feel my music the same way and do what I want without thinking how fans will react….Im glad the reaction has been great, but that is not the most important. 10.What is going on with your other musical projects these days? Nowadays, I have them all every other projects on ice. I am 100% focused on Immundus as these music is what gives me most pleasure composing. Im not sure if the other projects will be back again, but as I see it at the moment, most likely they remain underwater. 11.Music wise, where do you see yourself heading into during the future? I will keep on writing more Immundus music, that is for sure, and also since I joined Resource Sound, I will be writing more exclusive music for TV, Films and other Media as well and hope I can continue on the same path as I am right now, since it is definitely heading the right way. Moving onwards always. 12.What are some bands or musical styles that have had an influence on your newer music and also what are you listening to nowadays? I try not to think nor listen too much music when I am composing as this usually might interfere to my own music. I know it is unavoidable but still I prefer to keep it as original as possible, non the less, Dark Ambient elements and others within dark genres will still be in my music, not through any particular artist or sound, is just the nature of Ambient Music. I listen to a lot of variety, from extreme to experimental and more alternative genres. I try to avoid radio as much as I can, but now and then come cool 80s tunes pops up and is so much better than the music that is being commercialised on the radios today. They have ruined the music and all we can do we bring up ours and show them something new….and different. Im still optimistic with the hope that this pop trend will end and all nature will be back to its due course. 13.How would you describe your views on Occultism? Don’t take me wrong, but I never discuss, politics, religions nor related subjects. I am interested on the occult on more on a quest for knowledge, and the mysterious side of life, other than practice itself. I done my share…. 14.Do you have any non musical interests? When Im not working on any music, I really like to snowboard, is a great sport and gives a good thrill!! 15.Before we wrap up this interview, do you have any final words or thoughts? I wanted to say thanks for this…been a long while since my last interview. For music artists: don’t be afraid to expose your music to the masses, it will not make you more or less underground, by the end of the day with will still be all about You and your Music and what you want to do with it. 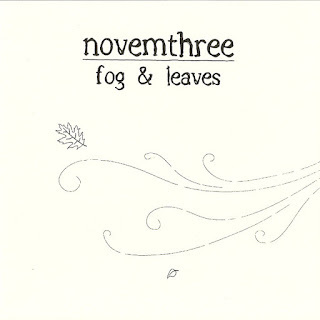 This is a review of another recording from :novemthree: which continues their psychedelic approach to neo folk music with the album being self released in 2006 and called "Of My Mother's Wearing Wanderings". The album starts out with flutes and after the intro acoustic guitars which use finger picking and full chords as well as melodic vocals make their way onto the album and you can also hear percussion's in the background and they music gets more psychedelic as time goes on by as well as using flutes on the other songs as well which brings in a more ritualistic and pagan feeling to the album and on the last song you can hear elements of drone being added onto the record. Song lyrics cover depressive and nature themes, while the production has a very dark and old school sound where you can hear all of the musical instruments that are present on this album. In my opinion this is another great sounding recording from :novemthree: and if you are a fan of psychedelic neo folk, you should check out this album. RECOMMENDED TRACKS INCLUDE "A Celebration Of" "Drifting" and " A Mother's Wish". 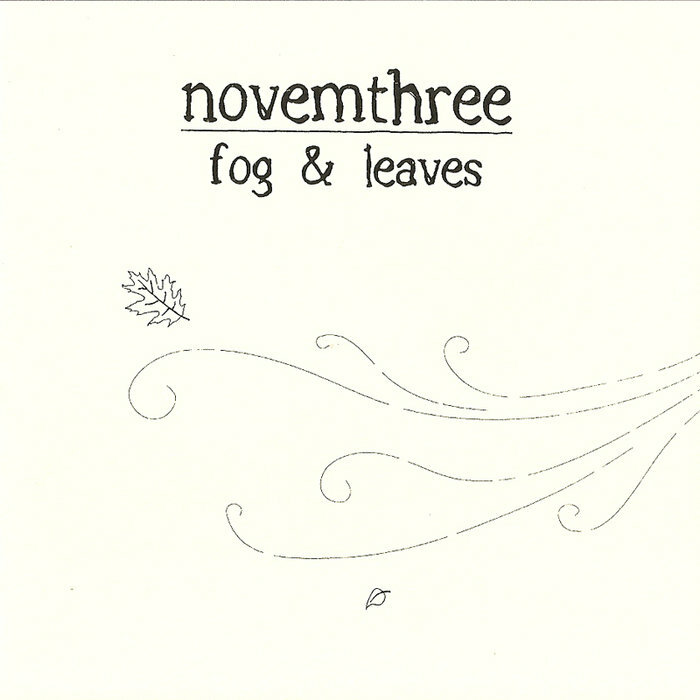 8/5 out of 10.
:novemthree: are a band from Washington that plays a ritualistic form of psychedelic folk music and this is a review of their self released 2004 ep "Fog & Leaves". The ep starts off with acoustic guitars which utilize both finger picking and full chords and on the second song percussion's, psychedelic rock influences and melodic vocals are added into the music and on the follow song synths are added onto the ep and they bring a different sound to each of the 5 songs that are present on this recording. Song themes cover nature, while the production has a very dark and old school 60's sound with only 5 really short songs being present on this ep. In my opinion :novemthree: are a very great sounding psychedelic neo-folk band and if you are a fan of this musical genre, you should check out this ep. RECOMMENDED TRACKS INCLUDE "Fog & Leaves" and "Gone". 8 out of 10. 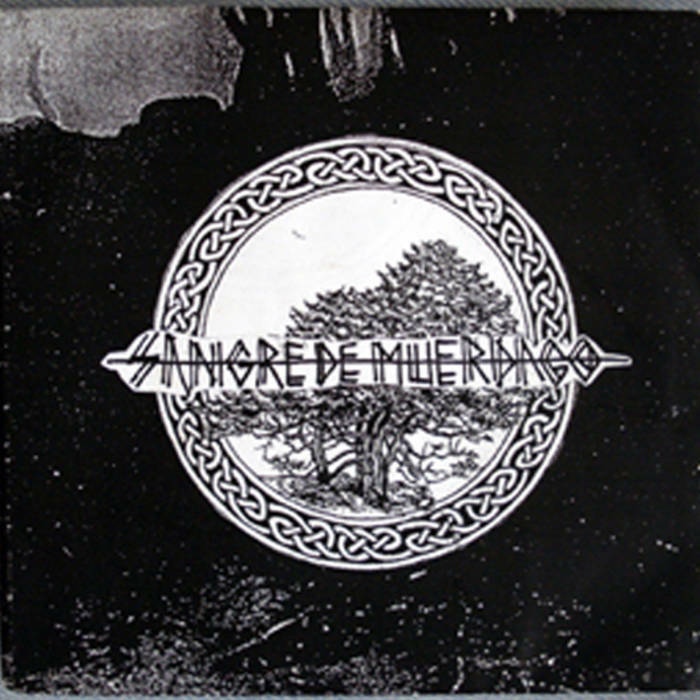 Sangre De Muerdago are a band from Spain that plays a mixture of Galician and Neo folk music and this is a review of their self released 2007 demo. The demo starts out with acoustic guitar playing which uses both full chords and finger picking along with some percussion and the demo is all improv and there are no vocals present on the 3 songs and the recording also has a medieval feeling that goes back to the pagan days. Song themes cover Galician folklore, while the production has a very dark and raw sound to it with only 3 songs being present. In my opinion Sangre De Muerdago are a very great sounding mixture of Galician and Neo Folk Music and if you are a fan of this musical genre, you should check out this band. RECOMMENDED TRACK "Sangue da Terra". 8 out of 10. 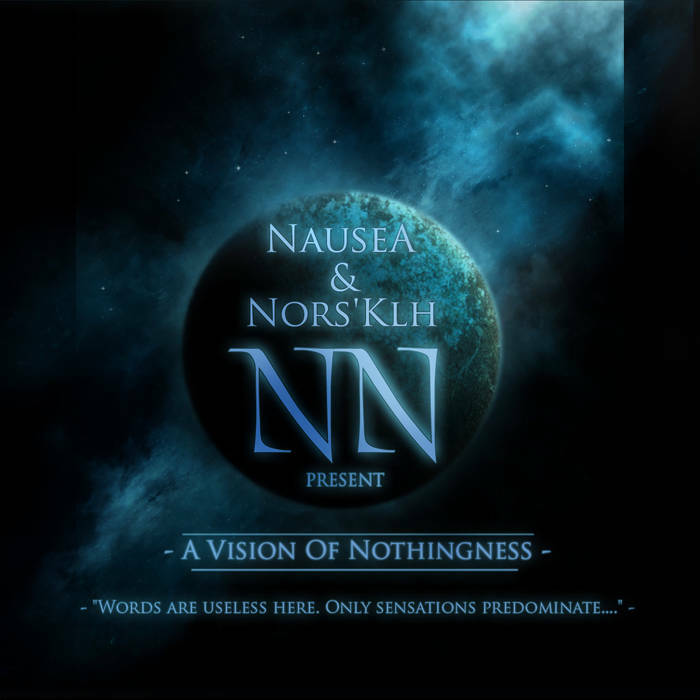 This is a review of a split album between Poland's NauseA and France's Nors'Klh called "A Vision of Nothingness" which was released in 2009 by Hypnotic Dirge Records and we will start off the review with Nors'Klh which plays dark ambient. There side of the album starts off with dark ambient drones and synths and a minute later their music gets a little more louder and when they go into other songs you can hear some drum programming being added into the music as well as more experimental elements and each song they bring in has a different sound while also utilizing a great amount of drones and atmosphere. Song themes cover science and astronomy, while the production has a very dark and powerful sound to it along with a couple of their songs being very long and epic in length. In my opinion Nors'Klh are a very great sounding dark ambient/drone project and if you are a fan of this musical genre, you should check out their side of the split. RECOMMENDED TRACKS INCLUDE "Meet the Pulsar" and "The Event Horizon". Next up is NauseA another dark ambient project. There side of the album starts up with experimental noises along with drones and atmospheric ambient synths and a couple of minutes later you can hear some programmed beats start to kick in and when their music goes into other songs the drones get more dark and esoteric sounding and every song has its own dark and evil sound to it. Song themes cover darkness and metaphysical topics, while the production has a very dark and powerful sound with the last song being very long and epic in length. 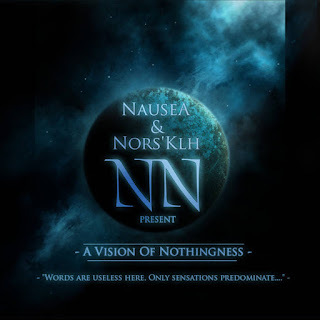 In my opinion NauseA are a very great sounding atmospheric, dark ambient/drone project and if you are a fan of this musical genre, you should check out their side of the split. RECOMMENDED TRACKS INCLUDE "Odyssey To The Abyss" and "The Birth of Light". In conclusion I feel this is a very great sounding split and I would recommend it to all fans of dark ambient and drone. 8/5 out of 10. Ancient Tundra are a musical project from the United States that plays dark ambient and this is a review of their 2009 album "The Desolation Of An Artic Landscape" which was released by Dead Moon Records. The album begins with nature sounds and dark ambient synths which also use of variety of many different sounding keys and the recording gets more epic and atmospheric as times goes on by as well as adding drones into certain sections of the music as well as a small amount of black metal vocals being used on a couple of songs and each song has a different sound to it while also remaining true to dark ambient. Song themes cover nature and darkness along with one of the song titles being in Norwegian, while the production has a very dark sound with the synths being very powerful sounding as well as most of the songs being very long and epic in length. In my opinion Ancient Tundra are a very great sounding atmospheric, dark ambient project and if you are a fan of this musical genre, you should check out this album. 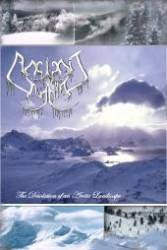 RECOMMENDED TRACKS INCLUDE "Bring Forth Winter" Nostalgic Depression" "Triumphant Nature" and "Journey Across The Barren lands". 8/5 out of 10. Immundus is a solo project from Norway that has been featured recently in this zine with a musical style he calls Cinematic, Horror Music and this is a review of his 2009 ep "The method learned II" which was released by Hypnotic Dirge Records and also has some session musicians. The ep starts out with some dark experimental sounds along with some ambient drones and the music gets more diverse after a few seconds and minutes and on the second song more traditional ambient elements are added into the music while also still utilizing a great amount of drones and there are quest appearances from Frederick Klingwall, Nausea, In(S)cissors, and Sphere-Sounds. Song themes are based on the writings of G. James Wyrick, while the production has a very dark sound to it. 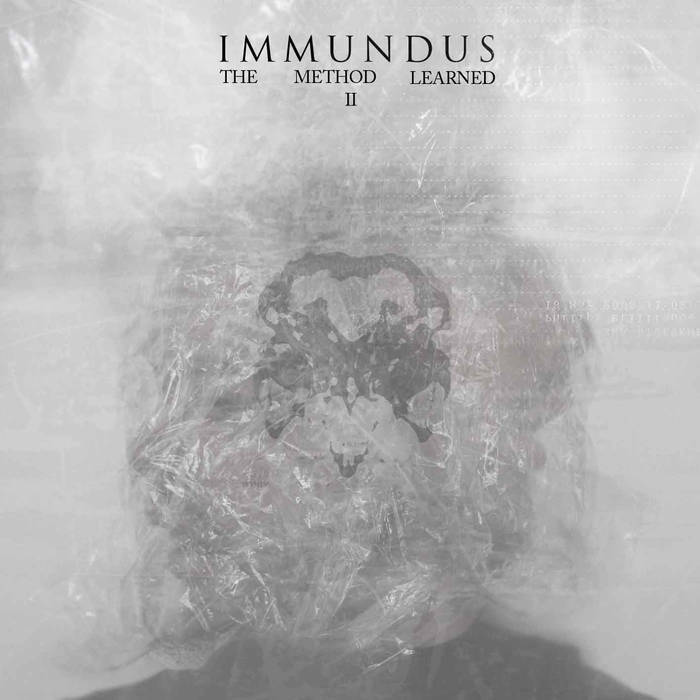 In my opinion this is another great sounding recording from Immundus and if you are a fan of this musical genre, you should check out this ep. RECOMMENDED TRACKS INCLUDE "Decoy" and "Repentance of Midnight". 8 out of 10. Requiem Nocturne are a band from an unknown location that plays a dark form of ambient and this is a review of their 2009 album "Hands Resist Him" which was released by hypnotic Dirge Records. The album begins with some dark sounding synths which also use a variety of many different sounding keys as well as adding in influences from electronic music and as time goes on by the music starts getting a lot more diverse in sound and you can also hear elements of neo classical being added onto the record and every song sounds different from each other as well as bring in a tragic and melancholic touch. Song themes cover darkness, depression and metaphysics, while the production has a very dark sound with synths being the only musical instruments that are present on this recording as well as a couple of songs being long and epic in length. In my opinion Requiem Nocturne are a very great sounding dark ambient project and if you are a fan of this musical genre, you should check out this album. RECOMMENDED TRACKS INCLUDE "The Celestial Touch" "Heart of Granite" and "Standing In The Circles of Eight". 8 out of 10. 1.Can you give us an update on what has been going on with the project since the recording of the new album? Since completing the new album, I have attempted to take a step back to further examine the musical direction I wanted to take. This has been a gradual process between each album and I wish for it to evolve naturally and fluently. This has meant seeking out new musical instruments and seeing which of them strikes a chord with me, personally. 2.According to the fb page you have a new mini album coming out, can you tell us a little bit more about the musical direction it has taken and also how does it differ from your past recordings? I do! Essentially, I would not know what I would call it - not an EP, but not a full length - so I would just call it a short album of personal musical elaboration. 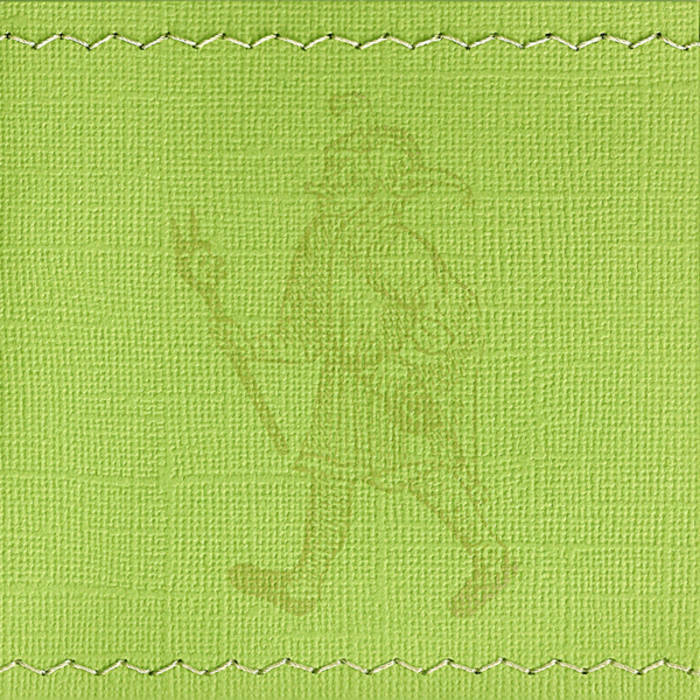 It is actually a collection of short pieces themed around Homer's "Odyssey". It differs quite a bit to my previous recordings, as it is mostly performed on a replica of an ancient lyre, has very strange time signatures, and is the first of my material to be derived from literary themes. My music usually does not even have much of a 'human' element in the concepts, but I thought this to be a natural progression. It won't be the most polished and professional of releases, but I feel as if it carries the theme effectively and is enjoyable. 3.What are some of the themes and concepts you bring out with your music? My albums touch on various subjects, but the recurring theme which has stayed consistent is the admiration of nature, and of the pursuit of a primitive spirit. I often envy the beasts of the field which live for nothing other than their own survival - it is a life which would not be taken for granted, and a life of purity. I personally feel it is very important, and even cathartic, for me to take a step outside of the claustrophobic urban existence when writing for this project. 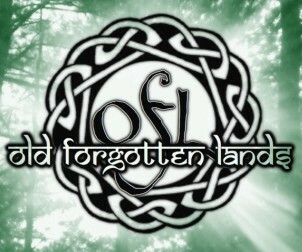 4.What id the meaning and inspiration behind the name 'Old Forgotten Lands'? 'Old Forgotten Lands' is very straightforward - it is meant to just be a reminder of forgotten places. It is easy to be overwhelmed as a human being when one looks out into an urban environment, where even the trees are stacked neatly next to each other. My music is a way for me to conjure thoughts and images of the harsh, unruly, and spectacular wilderness which exists beyond human comfort zones - and I try to convey that we really should step outside of said comfort zones and examine our connectivity to such places. 5.You have also recorded albums under other names as well as a solo album, but would you say this is your main project? I have had dozens of other bands or projects, yes, but I try not to focus on one project over another. I have a multitude of differing musical expressions to release, none of which are more important than the other. It would literally be like prioritizing joy over pensiveness, both of which I hold in the same level of esteem. However, I will say that Old Forgotten Lands has been the most successful project in terms of distribution, and it remains to be the oldest project I have - nearing seven years of an anniversary this coming summer. 6.For the most part you work solos with your music but on the fb page it says session musicians may vary, do you prefer working solos or with other people? It depends on the situation. I often have to humble myself and realize I am not the most proficient musician with stringed instruments or brass. Therefore, if I cannot properly convey a certain sound, I summon my kindred friends to assist. On the 'Primal' album, I had many appearances from some of the most special people in my life, so it naturally felt as if they contributed to the music. I have never searched for any 'session' musicians... I only work with close friends. But yes - the primary goal of this project is to spread only my ideas, so it will always be a solo endeavor. There was one project which hosts a strong connectivity to Old Forgotten Lands, which involved me and several friends recording free-form folk music in outdoor environments. If one should be interested in this, it is called the Primal Collective, and there is a released double-CD available. 7.On a worldwide level how has the feedback been to your music by fans of dark ambient? I must say I have been rather surprised. Within the origins of this project it was not a very technically-proficient endeavor at all... I simply made my sounds and felt I would share it with friends. The fact that I sometimes wake up to find reviews from places like California, Italy, Germany, or Russia is a surreal experience. I feel as if my music spreads a message which can be understood by people in all regions of the world, but I had never expected it to strike a cord with as many people as it does. For that, I am truly thankful. 8.Can you tell us a little bit more about the other musical projects that you have worked with? Most of my other projects dabble in genres such as metal, or electronic, or the like. Currently I am aiming to work in the circuits of film scores or the neoclassical environment. I am very much interested in the two concepts of scoring film, and in recreating antiquated music. In the latter example, I will likely need to find others willing to help - I still consider myself a 'work in progress' when it comes to the subject. 9.Where do you see your music heading into during the future? More full-circle, I hope, in terms of the history of music itself. The beginnings of this project were rooted in using very modern equipment as a means to exalt an ancient idea. Now I wish to pair and match that ancient idea with more ancient instrumentation. Furthermore, I only aim to enhance the atmosphere. Atmosphere is everything, no matter what is going on in a song. 10.What are some bands or musical styles that have had an influence on your music and also what are you listening to nowadays? There have been many... artists such as Ataraxia and Daemonia Nymphe have been challenging me to have patience in my own music, as theirs seem to be very well-orchestrated and evocative. The initial influences remain - the Wongraven album, some other similar minimalist projects. Above all, though - ambient music is my oldest musical love. Be it Brian Eno, or Harold Budd, or the like - I have always felt attached to the idea of having an atmospheric soundtrack to awe and wonder, and pensiveness. I hope to attain the power to compose such ethereal sounds in my future. 11.Do you have any non musical interests? Absolutely, yet somehow or another my interests seem to intersect into my musical influence, be it for this project or another. I love reading of history and archaeology, and traveling to places so as to put 'the faces to the names', so to speak, of the subject matter. I am interested heavily in the fine arts - 19th Century impressionism/post-impressionism - and find much kinship with those of the Romanticism movement. Beyond that, one can usually find me just having a drink and having good conversation with good folk. Certainly. Above all other expressions I have made, I wish to extend my deepest gratitude toward anyone who has ever supported this project. I consider each individual who finds anything meaningful in this music to be a kindred soul, and I hope to convey that I do not take that for granted at all. I do hope to continue to share this project with more and more people. 1.Can you give us an update on what is going on with the musical project these days? Well, Erang is a part of my life and I’m still pretty active with it : I’m going to release a new album “ Casting The Ancient Spell Again “ on http://erang.bandcamp.com Furthermore, some splits will probably come as well during February. 2.You have a new album coming out, can you tell us a little bit more about the musical direction it has taken and also how does it differ from your previous recordings? I guess it still has the “Erang sound” to say so, but with some surprises and sometimes new sounds... I sing on one track, for instance. With each new album I try to incorporate few news elements. Not necessary a lot but I find that if you listen from “ Tome I “ to “Another World, Another Time”, you’ll find an evolution. 3.You have put out a lot of releases in the last couple of years, would you say that music takes up a lot of your time? 4.What are some of the themes and concepts you have explored with your music over the years? 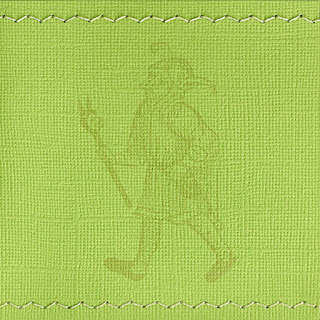 5.You put out an ep a few months back based on the works of J.R.R Tolkien can you tell us a little bit more about your interest in this author? My father use to tell me stories from Bilbo to put me to bed so the world of Tolkien has always been very familiar to me. 6.Can you tell us a little bit more about the concept behind the name 'Erang'? Erang is truly a part of me, a part of my past and my personal history. 7.So far you have worked all solo, are you interested in working with other musicians in the future? Erang will always be solo, it is to personal to share it with anybody. But I’m always open to splits if I like the music of the other band. 8.On a worldwide level how has the feedback been to your music by fans of dungeon synth? I’m very touched by emails or message that sometimes people send to me saying how much they feel connected to my music. This is really important to me : having the feedback of people and knowing that, far from my home, an unknow person is enjoying my music and feel connected to my world. 9.What are some bands or musical styles that have had an influence on your music and also what are you listening to nowadays? Mortiis / Vond, Burzum (the ambient ones) and I like very much Lord Lovidicus. 10.Does Paganism play any role in the music? On my fourth album, the name of the last track is “Within The Land Of My Imagination I Am The Only God “… This sum up everything. I like drawings and photo manipulation, and that’s why I do all my artworks. It is really part of the fun and of the whole “Erang experience”. I cant thanks enough all the people who support me here and there : I don’t do music to please people, I do the music that I want to hear, for myself… but when someone loves it, this is the best feeling ever ! So I thank you all. Immundus is a solo artist from Norway that plays a musical style dark and cinematic horror music and this is a review of his 2012 ep "Poemia" which was released by Hypnotic Dirge Records. The ep starts off with dark ambient sounds and synths and the music is very haunting and atmospheric sounding while also invoking a very ritualistic feeling to the ep and the songs follow a concept throughout the 3 songs that are present on this recording and you it has the feeling of a horror film along with a small amount of drones as well as all of the songs being very different from each other. Song themes are based on the writings of Edgar Allan Poe, while the production has a very dark sound with synths being the only musical instrument that are present on this recording. 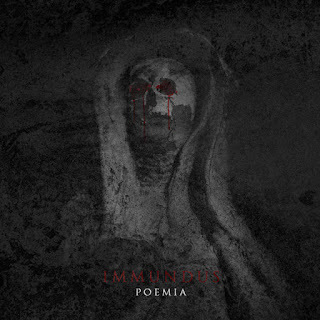 In my opinion Immundis are a very great sounding horror and cinematic music project and if you are a fan of this musical genre, you should check out this recording. RECOMMENDED TRACK "Spirits Of The Dead". 8/5 out of 10. 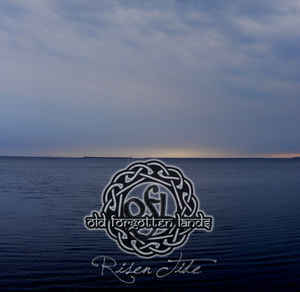 Old Forgotten Lands are a 1 man band from Illinois that plays dark ambient and this is a review of his 2012 ep "Risen tide" which was released by Hypnotic Dirge Records. The ep begins with nature sounds and a few seconds later synths start to kick in and the music goes more into a dark ambient direction and a couple of minutes later they start bringing in atmospheric and experimental elements while also retaining the nature sounds and as time goes on by the music gets more diverse and the synths bring in different sounding keys and towards the end the nature sounds start to take over again. Song themes cover darkness and nature, while the production has a very strong and powerful sound with the song being very long and epic in length and over 30 minutes. In my opinion Old Forgotten Lands are a very decent sounding dark ambient project and if you are a fan of this musical genre, you should check out this recording. 7/9 out of 10. 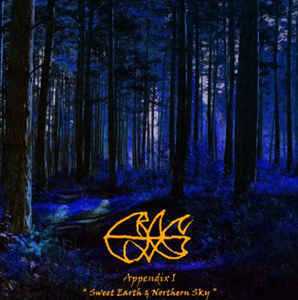 This is the final review of a recording from Erang which continues his dungeon synth sound with the ep being called "Appendix I - Sweet Earth & Northern Sky" which was released by Hatabaz Records in the year of 2013. The ep starts out with dark and atmospheric sounding synths which combine ambient and classical together along with elements of dungeon synth as well as some drum programming and you can hear influences from Brrzum's synth work and the music also gets more epic as time goes on by. On the nest song elements of folk music are added in along with some melodic lead guitars and black metal style vocals and on the last song the music goes back to synths and is an outro lees than 2 minutes. On these 3 songs Erag shows a different style and I would be interested to hear what he does on future releases and the only set back is there are only 3 songs and they are very short but this is still some very good music. Song themes are based on J.R.R Tolkien's The Silmarillion, while the production has a very strong and powerful sound where you can hear all of the musical instruments that are present on this recording. In my opinion this is another great sounding recording from Erang and if you are a fan of dungeon synth, you should check out this ep. RECOMMENDED TRACK "Fingolgin". 8 out of 10.